June 30, 2016 by Save Anaheim. What the heck happened to Gail Eastman's hair? Losing the election must have turned it white. The Anaheim City Council is scheduled Tuesday night to approve a massive convention center expansion, a gamble that industry experts say puts the city’s general fund at tremendous risk because flawed revenue assumptions are all but certain to fall short. The proposal up for consideration, according to a city staff report made public late Friday, calls for adding over $200 million to the general fund debt — more than double the current city facilities debt — to finance the addition of 200,000 square feet to the convention center, among other costs. City officials assume the expansion will more than pay for itself mostly through added hotel room tax revenue and cite a report by Tampa-based Crossroads Consulting Services that claims the expansion will bring in between 292,400 and 350,200 additional guest stays annually. However, experts in the economics of convention centers say the city is making this bet during an era in which convention center space nationwide is rapidly increasing while demand remains stagnant. Across the western United States, cities are either planning or have completed such expansions in recent years, spending hundreds of millions of dollars along the way in order to remain competitive for trade shows, corporate meetings and other events. The problem with this approach is attendance has been trending downward everywhere and for decades, experts said. One Harvard researcher compared proposals like Anaheim’s to investing in the typewriter business. But rather than exit a business on the decline, they said the solution pushed by most cities is to double a bad bet by expanding the space and throwing in expensive amenities. Anaheim is essentially joining a race to the bottom in which most cities, if not all, end up losing, they said. “Historically, these kinds of things have not worked out very well,” said Heywood Sanders, professor of public policy at the University of Texas at San Antonio and considered the ranking expert on the economics of convention centers. “If every other major competitive center in the country is doing the same thing, you are not likely to see the same business,” he said. Sanders added that Anaheim's last convention center expansion — an addition of 100,000 square feet in 2000 — is a perfect example of how projects don't pencil out. And it isn’t just academics who make these arguments. Even those in the industry acknowledge a glut in convention center space. Meanwhile, Mayor Tom Tait said city officials are trying to have things both ways by projecting increased revenue in hotel room taxes that they've already promised to a partnership involving hotelier Bill O'Connell when they granted him a $158-million room tax subsidy to luxury hotels in the GardenWalk development. “You can’t sell the same horse twice,” Tait said. O’Connell, who is counting on convention center business to fill his proposed hotels, is among many in the city’s elite business community who have contributed heavily to the campaigns of the four-member council majority — Lucille Kring, Kris Murray, Jordan Brandman and Gail Eastman. Anaheim’s gamble puts at risk a sizeable chunk of the general fund, the part of the budget that pays for core services such as police, firefighters and parks. The city’s current debt on past convention center expansions and other facilities — not including the Disneyland Resort district improvement bonds, which are guaranteed by Disney — is $84.8 million, according to the staff report by Finance Director Deborah A. Moreno. As of now, the debt is close to being paid off. Starting this year, the annual payment obligations drop substantially, and by 2023 the general fund will be off the hook for $16.8 million in annual debt service, according to figures in the report. Under the expansion plan, the general fund would remain on the hook for annual debt service — which according to the staff report will be les than $17 million — probably for decades. All told, the projected debt service payments will total $409.6 million, the report states. The staff report predicts that the additional room tax will not only pay that bill but also produce between $135.3 million and $231.6 million in extra revenue over 30 years that will benefit the general fund. Yet this is the point where Sanders and others say the underlying projections for the gamble are shaky, even delusional. Experts cited example after example around the country where consultants’ rosy projections regarding increased convention center business never materialized. Anaheim's previous expansion is example No. 1. In the 1990s, a consultant’s study commissioned by Anaheim stated the expansion would boost total events and increase the direct spending by tens of millions of dollars, Sanders said. However, in the period before the 2000 expansion – 1996 through 2000 – the center averaged 667,771 annual convention and trade show attendees, according to data Sanders collected from Anaheim. The best year of that period, 1997, drew 748,000. Attendance after the expansion fell because of the 9/11 attacks but began to rebound in 2004. During the next five years, the best year's convention attendance was 615,620 in 2007 — less than the average annual attendance before the expansion. The average annual convention and trade show attendance for the post-expansion period was 595,467, according to Sanders. Fast-forward nearly 20 years and Sanders says Anaheim’s current consulting study is also problematic. These types of studies tend to be boilerplate and based on faulty assumptions, economists have said. Consider that parts of the study by Crossroads Consulting on which Anaheim officials are basing their decision has identical wording to a report the firm did for Baltimore officials, who are also considering a convention center expansion. The consultants would have one believe that Anaheim and Baltimore — two cities on opposite ends of the country with far different climate and local amenities — have experienced the exact same percentage of “lost business” because their convention centers are too small. Several performance measures and industry indicators suggest market demand has equaled and potentially exceeded the ACC [Anaheim Convention Center] current supply of space. According to lost business reports, date availability and inadequate space at the ACC accounted for 20% of lost events while inadequate hotel meeting/ballroom space and hotel date availability accounted for an additional 11% of lost events. As a result, Anaheim is losing convention/tradeshow business to its competitors. Several performance measures and industry indicators suggest that market demand has equaled and potentially exceeded the BCC [Baltimore Convention Center] current supply of space. According to lost business reports, date availability and inadequate space at the BCC accounted for 20% of lost events while inadequate hotel meeting/ballroom space and hotel date availability accounted for an additional 11% of lost events. As a result, Baltimore is losing convention/tradeshow business to its competitors. For reasons like these, experts balk at these reports. The numbers consistently fall woefully short of consultants’ projected returns, experts have said. Atlanta’s convention center, the Georgia World Congress Center, underwent a major expansion in 2002. According to Atlanta’s reports, in fiscal year 2000 there were 716,000 convention trade show attendees. By fiscal year 2013, that number had dropped to 471,244, Sanders said. Even in Las Vegas, the mecca of conventions, attendance at the convention center had dropped in the decade after a major expansion in 2002, according to Sanders. Tait says that even if the staff report's rosy projections hold up — with some 300,000 additional room nights each year — there would still be an annual debt service shortfall of $6.66 million. And if the demand remains flat or continues to drop — which the experts say is the more likely scenario — then for a generation the general fund will be down as much as $13.6 million annually and possibly more. Jay Burress, president and CEO of the Anaheim/Orange County Visitor & Convention Bureau, said the added convention center space will allow Anaheim to better adapt to the changing corporate environment. But he said that the expansion will add “flex” space, which would allow multiple trade show events at one time. And Burress said that the industry has shifted to rely more on meetings than shows. Sanders said that meetings in addition to trade shows are on the decline. “Flat demand is demand for all types of center space, meeting, ballroom, and exhibit hall,” he wrote in an email. Members of the City Council majority have said that the expansion is also needed to keep the conventions Anaheim attracts, because they are growing and have reached capacity at the facility. As other cities’ centers expand, the convention might be enticed to move, they contend. The most commonly cited example is the NAMM show, a music merchandise convention that had 96,000 registrants this year, according to the Orange County Register. “We had the last expansion because NAMM said they would not come back and were not able to come back unless we expanded it,” said Kring, a mayoral candidate who was also on the council when the 1990s expansion was approved. Sanders said keeping one or two shows is hardly a good enough return for a $200-million investment. “If you ask the narrow question, what do we need to compete in the convention center business, then the answer is, you need to do something that may get you more conventions,” Sanders said. Tagged with ARTIC, Ruth Ruiz, Debbie Moreno, Anaheim Convention Center, Mayor Tom Tait. April 21, 2015 by Save Anaheim. "Tapping surplus revenue to cover this deficit isn’t exactly optimal; it’s money that could be used for other purposes and there won’t necessarily always be surpluses to tap. ARTIC isn’t going away, and carping won’t dispel the deficit either. Ways have to be found to realize the promise of it being self-sustaining. Among those is bringing back the freeway billboard proposal, and doing so in a manner that anticipates and prepares for the disinformation onslaught that will almost certainly be mounted by Regency or another outdoor advertising company." Tagged with ARTIC, M, Matt Cunningham, Kris Murray. Tagged with Curt Pringle, Kris Murray, Natalie Meeks, ARTIC. April 19, 2015 by Save Anaheim. ANAHEIM – The city’s new transit center will run into a $2 million operating deficit by the end of June, and Anaheim officials will soon consider how to cover the shortfall. Before it was built, the Anaheim Regional Transportation Intermodal Center was expected to be a self-sustaining hub that would be primarily financed by revenue from advertising and a naming-rights sponsor. More than four month have passed since ARTIC opened, and city officials said that they aren’t close to securing a company willing to pay to put its name on the 67,000-square-foot facility, while total advertising revenue during the six months of operation are projected to be $81,675. As a result, the City Council will soon decide whether to transfer the $2 million difference from Anaheim’s General Fund, which pays for police and fire services, parks, libraries, road repairs and other city necessities. “I think there were all sorts of assumptions that were simply wrong about ARTIC, from ridership numbers to revenue projections,” said Mayor Tom Tait, who abstained from voting on ARTIC’s $185 million construction contract three years ago because his business, Tait & Associates, did business with the Orange County Transportation Authority. Anaheim’s coffers are on pace to have a surplus of at least $1.5 million above reserves, which will likely be used to cover ARTIC’s near-term operating shortfall, said city spokeswoman Ruth Ruiz. The City Council will soon consider whether to approve that allocation. Ruiz said city officials are studying how to reduce ARTIC’s operating costs for the next fiscal year that begins July 1, but an initial estimate released last year projected a $5.2 million spending plan. Along with a potential naming-rights sponsor, future revenue could come from developing the city-owned property surrounding ARTIC for housing, retail or office space. Some additional revenue could come from ARTIC tenants. The OCTA paid for the bulk of ARTIC’s construction costs through funds collected under Measure M, the county’s half-cent sales tax approved by voters to pay for transportation projects across the region. However, the responsibility for ARTIC’s day-to-day costs falls on the city, which owns the facility. Along with funding problems, ARTIC is failing to meet an opening-day promise of 10,000 riders who either board or depart mass-transit. That figure was used to lure companies that might provide naming rights, advertising or other support for the station. The transit center is still boasted by city officials as eventually becoming a terminus for high-speed rail, but the bullet train won’t likely reach Orange County’s most populous city for another generation, if ever. An average of 460 Metrolink and 300 Amtrak passengers boarded trains daily at the Anaheim station during the first month of operation in December, which is traditionally one of the slowest months of the year for public transit, said OCTA spokesman Eric Carpenter. First-quarter ridership numbers are still being calculated, and should be released within a few weeks. Tagged with Kris Murray, James Vanderbilt, ARTIC, OCTA. April 18, 2015 by Save Anaheim. In what could be a major blow to Anaheim's planned streetcar system, federal officials are indicating that the project is a poor candidate for the federal funding program expected to pay for at least half of its construction costs, according to several sources with knowledge of the situation. Supporters envision the streetcar as a vital addition to the city’s transportation infrastructure, connecting key destinations in the city, including Disneyland, the convention center, Platinum Triangle development and GardenWalk outdoor mall. They claim it would generate significant investment along the 3.2-mile route and provide a bigger boost in public transit ridership than an enhanced bus alternative. But the project has also come under intense criticism for its nearly $320-million price tag – which tops an Orange County Transportation Authority survey as most expensive when compared to 11 systems proposed around the country -- and because the preferred route would knock down a cluster of family-owned businesses. Local officials are aiming to win funding for the project under the Federal Transit Authority’s (FTA) highly competitive New Starts program. But several sources say the FTA has given a cold reception for an expensive project that they say would primarily serve to ferry tourists to Disneyland. Specifically, sources say Supervisor Shawn Nelson, during a trip to Washington DC, was told by FTA officials that the project wouldn’t be a good candidate for New Starts funds. Nelson took the trip while he was the chairman of the Transportation Authority Board of Directors last year, according to sources. Nelson didn’t return a phone call seeking comment. But other sources have also confirmed that the FTA isn’t excited about the project. Anaheim Mayor Tom Tait, a vocal opponent of the project and Transportation Authority board member, said he’s “heard the same thing” from Transportation Authority officials. Meanwhile, the Transportation Authority's current chairman, Jeffrey Lalloway, also a critic of the Anaheim project, said he wasn’t surprised, but stopped short of saying he’s been told that FTA officials don’t like the project. “As with most of the board, the FTA probably has some skepticism about the Anaheim project,” Lalloway said. FTA officials refused to comment specifically, saying in an emailed statement that Anaheim hasn’t yet submitted an application for New Starts funding and the agency “is not required” to evaluate and rate projects until later in the competitive process. “Therefore, we cannot comment on whether or not the project would be a qualified candidate for federal funding,” the statement reads. It's unclear how local officials would plan on funding the project if the city's bid for New Starts grant funding were to be rejected. City planning documents say they expect New Starts to fund over $150 million of the project's cost. In addition to the apparently poor chance of winning FTA funding, the project also faces other hurdles that could prove insurmountable. The project has stalled since Paul Durand -- one of the owners of the businesses to be knocked down to make way for the streetcar -- went public with his concerns last year. City leaders responded by directing staff to find an alternative route that wouldn’t require the city to forcibly acquire and demolish the privately owned buildings. Transportation Authority leaders have made it clear they aren’t excited about the prospect of infringing on private property rights. At the Feb. 23 board meeting, board Director Todd Spitzer told Anaheim’s public works director, Natalie Meeks, to “figure out” how to avoid taking Duran’s businesses. “This board, the prior board, has been very clear -- we’re not using eminent domain to wipe out a family business,” Spitzer said at the meeting. But the alternative that city officials are reportedly studying, which would direct the streetcar down Disney Way, does not call for riders to be dropped off directly across from Disneyland’s main gates. If that were the case, the resulting drop in ridership would render the project infeasible, Meeks told Voice of OC in 2013. "We need to get a station near the front gates, where the people are going, for this system to work," Meeks said at a Transportation Authority board meeting that year. However, Meeks has since changed her tune, telling the Orange County Register in May last year that she hadn’t noticed any “fatal flaws” with the Disney Way route alternative. City spokeswoman Ruth Ruiz didn’t return a Voice of OC phone call and email requesting an interview with Meeks for this article. Also, several sources have expressed renewed doubts about the streetcar’s projected 4,200 daily riders since a Voice of OC article revealed that ridership projections for the city’s new transit hub, known as the Anaheim Regional Transportation Intermodal Center (ARTIC), fell drastically short of estimates. “Obviously the actual ARTIC boarding numbers clearly show that the ridership projections for the streetcar are wildly inflated,” Tait said. Meanwhile, other board members have concerns about the technological incompatibility between Santa Ana’s planned streetcar system, which is farther along in the planning stages and estimated to be millions cheaper, and the Anaheim line. Local officials hope the two systems can one day connect. “I do think the projects only make sense if they somehow relate to each other,” said Transportation Authority board member Michael Hennessey, who said he is undecided on the Anaheim project. Tagged with Mayor Tom Tait, Natalie Meeks, Ruth Ruiz, Disney Streetcar. April 16, 2015 by Save Anaheim. Five retired Superior Court judges have been selected for a committee that will draw Anaheim’s proposed voting district maps by Oct. 6. The formation of the Advisory Committee on Electoral Districts comes after Anaheim voters approved a pair of ballot measures last November that call for moving toward district elections and adding two members to the City Council by 2016. Those measures stemmed from a settlement with the American Civil Liberties Union. One stipulation is that the maps would be drawn by a panel of retired Superior Court judges who live in Anaheim, but there was a glitch: Only one such judge lives in the city. As a result, city officials and the ACLU agreed to revise the settlement to permit retired judges from across the county. Edward Wallin of Anaheim was automatically selected to serve on the committee. The remaining members were randomly selected in a lottery among 14 applicants. They are: Steven Sundvold of Placentia, Thomas Thrasher of Villa Park, James Jackman of Orange and Nancy Wieben Stock of Fullerton. Tagged with edward wallin, steven sundvoid, thomas thrasher, james jackman, nancy wieben. April 15, 2015 by Save Anaheim. As Anaheim officials attempt to restart talks with the Angels baseball team over a new stadium lease, former City Manager James Ruth has offered up a bit of advice for team owner Arte Moreno. Show the city a little respect. In a Voice of OC interview last week, Ruth spoke at length about his experience in the 1990s brokering a stadium lease deal with The Walt Disney Company, which owned the team before Moreno, and the problems he sees with Moreno's hardball negotiating style. From Ruth’s point of view, Moreno has been disrespectful by threatening to move the team from Anaheim if he didn’t get everything he wanted. Talks were terminated last year amid public backlash over the terms of a deal framework that critics said was a massive giveaway of public land to the billionaire owner. Ruth, who aspired to play baseball before entering public service, said Disney also wanted a clause in the lease that would allow the team to be moved after six years, but the company conceded that clause after he made it clear it was a deal-breaker. More importantly, he said, there was civility during those negotiations that doesn't seem to exist this time. Ruth agrees with critics of the deal, led by Mayor Tom Tait, on many points. Negotiations got off on the “wrong foot” because the initial deal outline was lopsided in favor of the Angels, with little to no city benefit, according to Ruth. Also, city leaders agreed to extend the time the Angels can exit their current lease from 2016 to 2019, a move Ruth said handed negotiating leverage over to the Angels. The team would be locked into the current lease until 2029 if the out clause isn’t exercised. “I looked at the initial proposal, and frankly, it was very offensive,” he said. Under the now scuttled agreement, which defenders said was only a starting point, an investment firm belonging to Moreno would have leased over 150 acres around the stadium at $1 a year for 66 years. Moreno would also have been able to drop Anaheim from the Los Angeles Angels of Anaheim team name. Supporters of that deal said it would have kept the Angels in Anaheim for decades, with no risk to the city’s general fund, which pays for core services like police and fire protection. Also, development of the land could provide Moreno a revenue source to finance up to $150 million in renovations to the aging stadium. Ruth scoffs at the idea that the renovations would be a major benefit to the city. He said it was little more than a “nice gesture.” A fairer deal, which Tait has also proposed, would be to have the city and the Angels split revenue from the land development, he said. “When you look over 20-30 years, for Christ’s sake, $150 million is not a lot of money,” Ruth said. Meanwhile, Angels spokeswoman Marie Garvey took issue with Ruth’s characterization of the negotiations, calling it unfair and pointing out that the most controversial deal point, giving Moreno city land for a nominal amount, didn’t come from the Angels. The land contribution proposal originated with city officials as a way to finance stadium renovations in lieu of cash, Garvey said in an email. She also suggested in her statements that frequent turnover of city managers – there have been several since negotiations began over three years ago – was partly to blame for the stalled talks. Who exactly came up with the land contribution has recently been a point of confusion. Councilwoman Lucille Kring said at last week’s council meeting that city officials were still trying to “ferret out” who first proposed the idea. One source said it was former City Manager Tom Wood, who was later ousted from City Hall and went to work for the Angels as a negotiations consultant. Ruth said that when the initial deal framework was on the table, former City Manager Marcie Edwards and then Assistant City Manager Paul Emery met with him to go over the deal points. Ruth didn’t leave that meeting with the impression that city officials came up with the proposal. “If the city offered that up, I’d be shocked,” he said. Ruth said he told Edwards and Emery that the deal was terrible, but couldn't tell whether Edwards and Emery felt the same way. Edwards wouldn’t give her opinion because she was working for the council, and she would do what “the council directed her to do,” Ruth said. However, Edwards and Emery did leave the impression that they were under heavy political pressure to make the deal happen, Ruth said. “My answer on that was always no deal is better than a bad deal,” he said. Ruth expressed confidence that ultimately the Angels and Anaheim can work out a deal beneficial to both parties. He said the recent hiring of local trial attorney Wylie Aitken as a lead negotiator was a positive step. “There has to be a deal there for everybody,” he said. Tagged with Lucille Kring, Arte Moreno, Tom Wood, Paul Emery, James Ruth, Los Angeles Angels. April 13, 2015 by Save Anaheim. About a year ago Save Anaheim ceased to exist after then owner Jason Young decided he was moving to Fullerton. A lot has happened since then and under new ownership we hope to once again bring you the very best in Anaheim political news. Voters in Anaheim passed a measure on Tuesday that should pave the way for the city’s majority Hispanic population to have a voice on a city council which has only seen three Latinos serve in its history. In a move expected to improve Latinos’ chances of getting elected to the Anaheim city council, voters in the California city of 354,000 approved Measure L on Tuesday with an overwhelming 68 percent of the vote. Council seats have been determined in at-large votes, which allows anyone in the city to cast a ballot for any candidate. Now the city will be divided into seven districts, and each one will choose its own representative. The city was sued earlier this year by the American Civil Liberties Union, with support from Latino community leaders, for discriminating against Hispanic voters and violating the state’s Voting Rights Act. Anaheim was the largest city in California to still use at-large voting. Proponents of Measure L contend that the system silenced the city’s Latino community. Measure M also passed on Tuesday, expanding the city council seats from 5 to 7. About 54 percent of the people in Anaheim are Hispanic, but only three Latinos have ever served on the city council in the city’s 157 year history, the lawsuit pointed out. According to the Los Angeles Times, a committee of three retired judges will decide on the new district boundaries. "All this time, to not have anyone on the council representing us is a shock — and unacceptable," Ada Tamayo, a teacher for 17 years, told the LA Times. Tagged with Council Districts, Dr. Jose Moreno. November 10, 2014 by Save Anaheim. This week’s election has dire consequences for some who put all their eggs in the Kleptocacy’s basket, so confident that the nearly one million dollars worth of Disney-bucks would be their salvation. Despite all that money, they were wrong. Voters saw through the funding, and understood they were being taken to the cleaners. They supported Mayor Tom Tait in a landslide, and sent the message that while Anaheim supports our Resort District, we are MORE THAN merely a support FOR the Resort District. The go-between that bridges Disney, City Hall, and former-Mayor-turned-lobbyist Curt Pringle, is the Anaheim Chamber of Commerce. The hammer in their tool box. The Chamber of Commerce is supposed to a private business. To be precise, they are a 501c6 advocacy non-profit, able to take in donations without donors being identified, and largely able to take in donations without being taxed (good thing, since they got behind on their payroll taxes, which they ARE subject to paying!) The one exception is when they take in donations to launder them before running them into the Chamber PAC. Those donations remain anonymous (which needs to be examined) but they become TAXABLE to the Chamber. I am not sure they know that. If the Chamber’s private members wish to privately fund the special message of vitriol that Todd Ament and his crowd specialize in, they are welcome to it. As private citizens we are welcome to not join and not give them our money for that activity. This is not the case when a Council majority offers public funding to the Chamber, which then gets transferred to the hate messaging seen in this recent election. The unofficial mouthpiece for the Chamber of Commerce is AnaheimBlog.net. AnaheimBlog’s webmaster, Matt Cunningham, is not a concerned Anaheim citizen, running the website on his own time, out of passion for his community. Matt is a resident of Orange, and will say anything you want said, as long as you pay his price. Matt has self-reported income from the Anaheim Chamber of Commerce, and while he claims he is not “paid to blog” he has also never shown what he IS paid to do for them. Why would we take the word of someone whose word is clearly not worth the screen space used for its publication? The hatred and ignorance spread at AnaheimBlog is on behalf of the Anaheim Chamber of Commerce, and the Anaheim Chamber of Commerce gets public funding from the City Council majority. Is Anaheim Blog the best use of your public funds? Speaking of the execrable Anaheim Blog: For reasons I will never understand, my loved ones (e.g. Ryan, Zenger, Vern) like to wander over there, and then tell me about the inane “wordsmithing” skills being put to use in promoting the dying cause of the Kleptocracy, like “Big Sam and the boys” heading out of Atlanta to “dig ditches for the white folk to hide in.” And I regularly chide these loved ones against engaging on that blog, as their pointed and witty responses accidentally make it worth reading, and risk propelling its readership into the double digits. In this piece, Matt Cunningham was absolutely correct in his claim that I’d spoken against District Elections in the past, and I’d been pretty vocal with the media when asked. If you did some digging you could probably come up with some video of me at the City Council podium during Public Comments over the years, sharing the same misgivings I voiced to the Orange County Register in 2012. I still have my misgivings about District Elections, and I still see the downsides to giving little fiefdoms to leaders who are already so immersed in backroom deals and bickering that they’ve rendered local government ineffective and useless for moving forward anything but insider deals on behalf of Curt Pringle’s clients. Lucille Kring has pointed out that if we don’t like who is running for office in our District we are forbidden to vote for anyone outside the District, claiming this “disenfranchises” voters. But she misses the fact that we already deal with this shortcoming, in that we are ALWAYS limited to voting for those candidates who make themselves available. In fact, 2012 was an especially lean year, and we did what we had to do. We actually held our noses and supported Lucille Kring, not because she was the best for the job but basically because of those running she expressed the most hatred for Lobbyist Pringle, and thus presented the best option for independence. We were wrong, we were punked, but who could have imagined the depth and breadth of this woman’s ability to deceive? The fact remains that we had to deal with the pool of candidates available. Perhaps now that Measures L and M have passed, quality people will begin to feel encouraged to run for office, based on their common sense and passion for the community, and not based on who might score the Disney money for the only chance of being elected. Ultimately, what’s best for maintaining peace in my community could be something I may not personally care for, but my love of the community outweighs my need to get my own way. In this case, the best thing I can do is support something I may not prefer, in order to promote the greater good. I’m sorry if that offends Matt Cunningham, given his inability to ever put community benefits above his own selfish preferred outcomes. Richard and I understand (better than most) the enormity of what it takes to litigate an issue based on principle, with no direct personal benefit at the end of the lawsuit. Like the CATER suits, the Voter Rights litigation did not demand damages in personal gain for the litigants, outside of legal fees. That’s only right and fair, because citizens should not be out of pocket to protect and defend their rights against government overreach. But then I suspect Cunningham and his buddies are perfectly fine with a system that only provides rights to those with the resources to demand them. So when Anaheim residents – especially those like Dr. Moreno and Amin David, whom we happen to like and respect very much as people, are willing to allow their lives to be turned upside-down by filing a lawsuit with the ACLU, it was time to really listen to what they had to say. At-Large elections hadworked for Anaheim, yes, but clearly they were not working for ALL of Anaheim. At some point the rights of my neighbors to feel included in the electoral system must outweigh my desire to maintain my comfort zone. At-Large elections shut out a very specific voting bloc from becoming viable candidates. Period. I don’t believe anyone intends to shut out candidates based solely on their race, but without question, At-Large elections have shut candidates out based on economics, and economics then break down along racial lines in Anaheim, as impoverished areas unable to field a candidate with resources to reach voters citywide will also tend to be those neighborhoods with heavily Latino populations. Some day we will look at the factors that leave immigrant populations and their first generation descendants in greater poverty than their Caucasian counterparts, but for now we’re discussing elections, and it’s absolutely true that a grassroots candidate who might be a great leader does not have an ice cube’s chance in Hell of winning in an At-Large election in a city the size of Anaheim. If Districts can bring government down to bite-sized pieces in which a candidate can potentially cover enough ground to make a difference, that’s a step in the right direction. It’s then up to us to start encouraging good people to step up and take on the task of running, or we’ll get the government that our own apathy deserves. Someone I greatly love and respect has been very vocal of late, speaking out against Measure L, claiming that our problem is one of participation, not representation. I do understand the numbers she is working with, and I too have questioned how a demographic group that represents half the city claims they lack representation. But vicen the overwhelming obstacles of running for office in Anaheim’s current At-Large system, those without significant resources walk away from the challenge. When voters consistently see nobody on the ballot that might understand the unique needs of their own part of the city, they quit showing up to vote. Thus lack of representation CAUSES lack of participation. Every Republican casting a ballot in Presidential election years here in California understands the frustration and futility of the winner-takes-all system that is stacked against a GOP outcome. I won’t share the write-in candidates my husband and I have offered in protest to the Dems we know in advance will be taking electoral votes to the White House, I will simply say that we understand the frustration of knowing our votes don’t count. Richard and I set aside some of our own personal misgivings in order to promote what we saw as the greater good, and this week I’m glad to see that most of Anaheim’s citizens agreed. But then Matt Cunningham is not one of Anaheim’s citizens, so why would we expect any such thoughtfulness from him? I was glad to have received that particular mailer as I was just out of TP at that moment. Imagine the satisfaction I received knowing where I was putting Cynthia Ward’s face. This Planning Commissioner’s often unhinged husband posted a similar gross comment to the Colony email group, where I no longer participate but am occasionally alerted to messages. So, despite their cowardly refusal to put real names to nasty thoughts, we know who they are. Matt Cunningham decided that THAT message was worthy of space paid for, albeit indirectly, by our public funds laundered through the Chamber of Commerce. Yet my defense of participation in an important election issue was not permitted. I can only say that I am sad to hear my neighbors’ situation has bottomed out so completely that they are unable to provide for the basics like bath tissue, and perhaps if they laid off alcohol and cigarettes they could pull their finances together in a way that allows for necessities. Since their grasp of reality has become so tenuous, I might also point out that the mailer received just before that trip to the loo is printed on glossy paper, and not terribly absorbent. In short, the mailer, like the individuals depicted in the image,will not take crap off these people any time soon, and they are in for a rude awakening, should they sober up enough to realize how badly their choices have soiled them. It’s telling that Matt Cunningham permitted this display of witty banter from my neighbors, while refusing to post my own reasoned defense for my public change of heart on an issue important to my community, one which HE brought up, and then failed to let me respond to. This is the caliber to which the Anaheim Blog has sunk. They are using OUR PUBLIC FUNDS, laundered through the Anaheim Chamber of Commerce, to do this. In any case, congratulations to the people of Anaheim, for the HUGE win this week. We kept our Mayor with such a landslide that it sends the message that while Anaheim supports our Anaheim Resort, we are more than a support system FOR THEM. James Vanderbilt has won by half a percentage point. That is ONE neighborhood walked that made a difference. For those who showed up day after day to walk precincts, make phone calls, set up neighborhood coffees, THIS IS YOUR WIN. The fight is not over, there is work to do. We need to defund the Chamber of Commerce immediately, and allow their private patrons benefitting from their “advocacy” to support the activities, because it is not a public function to do this. Congratulations to Eric Altman and the entire team for Measure L and M. They ran a positive campaign that stayed on message and won fair and square. They were out walking neighborhoods constantly and had a huge GOTV effort during election day. It remains to be seen how District Elections will play out in the long run. I can only say that it has to be better than retaining the selfish stranglehold on power and influence that has been in charge at City Hall. Anything that takes that jack boot off our throats is an improvement. Tagged with Disney, Curt Pringle, Kris Murray, Gail Eastman, James Vanderbilt, Mayor Tom Tait, Anaheim Chamber of Commerce. November 8, 2014 by Save Anaheim. Pictured above: Julie Tait, Jason Young, Mayor Tom Tait, and Mary Daniels. Anaheim Mayor Tom Tait handily won reelection Tuesday night, voter returns show, while his endorsed candidate for City Council, James Vanderbilt, unseated incumbent Councilwoman Gail Eastman. Tait won 54.1 percent of the vote, trouncing opponents Lucille Kring, a sitting councilwoman, and Lorri Galloway, a former councilwoman, who each received less than 20 percent of the vote. Meanwhile, incumbent Councilwoman Kris Murray won reelection and led the council race with 21.2 percent of the vote. Vanderbilt took second place with 20.1 percent, and Eastman came in third at 19.6 percent. Only the top two vote getters in the council race win seats. The election victories take a seat away from the formerly 4-1 City Council majority that has isolated Tait in recent years because of his opposition to massive tax subsidies for politically connected businesses. With Vanderbilt’s election, the council becomes a 3-2 split. Murray and Eastman could not be immediately reached for comment. At his election headquarters in downtown Anaheim, Tait’s family and supporters cheered as Vanderbilt’s slim lead over Eastman slowly widened, with Orange Juice Blog publisher Vern Nelson in the background playing tunes on his keyboard. Tait said his reelection and Vanderbilt’s victory signal that the voters are tired of city leaders steering public resources to expensive projects and subsidies for the resort area and major businesses, while paying little attention to underserved neighborhoods. Tait cited the controversial $158 million tax subsidy for a hotel developer, a now scrapped Angel Stadium lease proposal that gave over 150 acres of land to the team owner for $1 a year, a $319-million streetcar system, and a $200 million convention center expansion – all projects and subsidies voted on in the last two years – as issues that have turned voters against the council majority. “This is about the people being central to Anaheim, and not the resort district,” Tait said. Tait and Vanderbilt won despite facing one of the most well-heeled campaigns in Orange County’s local races. Disneyland poured in over $670,000 toward mailers and other campaign material to back Murray and Eastman while attacking Vanderbilt and another candidate -- Latino leader Jose F. Moreno, who came in fourth with 13.6 percent of the vote. Also, Tait was the target of aggressive attacks from a political action committee controlled by former mayor-turned-lobbyist Curt Pringle, including a TV ad featuring District Attorney Tony Rackauckas that falsely accused Tait of supporting a publicly funded gang memorial. Jason Young, a Tait supporter and former Save Anaheim blogger, said the election night was a defeat for Disney and Pringle. “Curt Pringle and Disney got their asses kicked,” he said. Tagged with Mayor Tom Tait, Curt Pringle, James Vanderbilt. November 5, 2014 by Save Anaheim. April 1, 2014 by Save Anaheim. There is a great deal happening in the City of Anaheim - and a great deal to accomplish in the next few years. During my tenure on the Council, I cheated the Anaheim taxpayers out of millions in future revenue by subsidizing the GardenWalk Hotel development. Now I am working to giveaway development rights to Arte Moreno for a mere $1 a year to keep the Angels in Anaheim. I've also invested heavily in an innovative $319 million street car system that will shuttle Disney guests to the park and further congest Katella Avenue. Lastly, I have worked tirelessly to stop District Elections from becoming a reality in Anaheim. I prefer the status quo which keeps special interest money in control of who gets elected. I am running for re-election because I am committed to every taxpayer ripoff my lobbyist friend Curt Pringle can concoct. Please join me April 2nd for a reception in support of my re-election campaign focused on "Promises Made, Promises Kept - Ripping off Anaheim, one vote at a time." FYI this is for comedic purposes. Kris Murray did not write this. March 27, 2014 by Save Anaheim. An Anaheim mayoral candidate is being called to resign after she publicly said the fatal shooting of a 22-year-old probationer who wounded a police dog "saved us a trial." Anaheim Councilwoman Lucille Kring wrote the statement in question one day after Anaheim police officers shot and killed Robert Moreno, the gunman accused of opening fire on officers before shooting Anaheim K-9 Bruno in the mouth. "The shooting saved us a trial. Always a good outcome," Kring wrote in an email thread sent to hundreds of homeowners in the city's historic Colony District. The comments come at a time when the city of Anaheim is still reeling from back-to-back police shootings in 2012, which sparked unrest andcalls for a citizen panel to oversee the Anaheim Police Department. One resident pushing for Kling's resignation is Donna Acevedo, a woman whose son was shot and killed by Anaheim police in 2013. Acevedo is now running for her own seat on the council, and she kicked off her campaign with demands for Kling to step down. "Especially her comments, they're just really disgusting, and it doesn't make the community feel like that there is any kind of healing going on" Acevedo told NBC4. Acevedo has openly expressed her anger with Kring in past council meetings. "You should step down from where you're sitting now, because you have no business sitting there. You don't represent the city, you don't care about people," Acevedo said before the crowd broke into applause at a council meeting. In the city's most recent police shooting, officers were conducting a probation check on Moreno on March 20 when shots were fired at police. After the K-9 found Moreno hiding in a trash bin, he shot the dog, prompting police to return fire and kill Moreno. The outpouring of support for Bruno, whom Kring hailed a hero, has garnered media attention. And that attention is prompting frustration for some Orange County residents who feel Moreno's death deserved more recognition. Moreno's friend, Manuel Gonzalez.set up a memorial for Moreno Wednesday night and called Kring's comments cold-hearted. "He didn't deserve to die like that you know," Gonzalez said. "They care more about the dog than a human being." 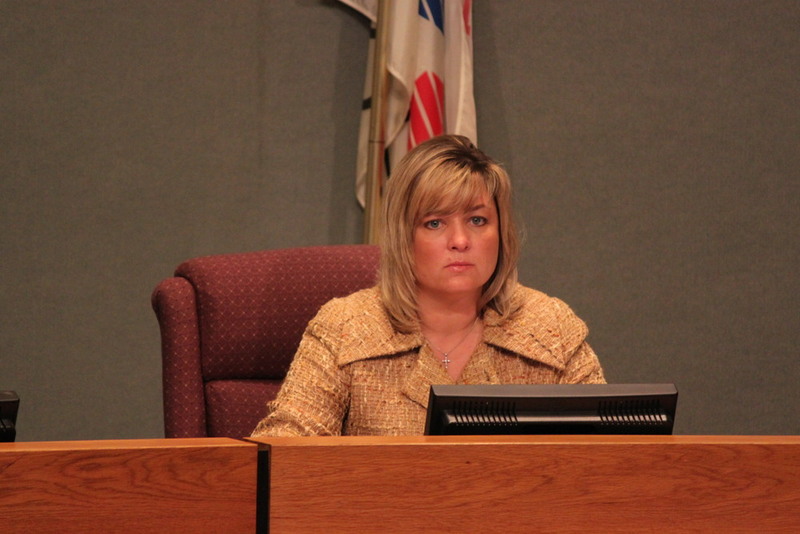 Kring made a public apology for her comments at Tuesday night's council meeting. "The loss of a human life is always a tragedy. He was somebody's son, maybe an uncle, maybe a father maybe a brother," Kring said. "I apologize unreservedly for any statement, and I hope you will forgive me." Kring also said her comments do not reflect her human values. Calls to her office by NBC4 were not returned by time of publication. Lucille Kring, who now is running for mayor of Orange County's largest city, quickly apologized for her remarks, but some residents pushing for her resignation said it was too late. Robert Moreno Jr., 22 was fatally shot last Thursday by officers following a police chase. Authorities said Moreno had fired at officers and injured a police dog, Bruno. “The shooting saved us a trial. Always a good outcome,” Councilwoman Lucille Kring wrote on an online thread for residents of the city’s Colony District. The fatal police shooting, as well as Kring’s remarks, drew dozens of residents to the Anaheim council meeting Tuesday. The relationship between police and residents in the city’s dense central neighborhoods has been a hot-button issue for several years. Donna Acevedo, whose son Joel Acevedo was shot in an officer-involved shooting in July 2012 that fueled days of protests, said she didn’t care whether Kring retracted the statements because they reflected how she really felt. Kring remained still and looked on as several people spoke out against her. Genevieve Huizar, who recently lost a wrongful death lawsuit for the officer-involved shooting of her son Manuel Diaz, called Kring’s statements sickening. Moreno was shot after two Orange County probation officers went to a home in the 1100 block of Mayfair Avenue. The suspect they were looking for was with two men who ran when the officers approached, authorities said. One of the men fired at officers multiple times, said Anaheim police Lt. Tim Schmidt..
During a subsequent search, Bruno found Moreno hiding near a trash can. The suspect then fired on officers and Bruno, striking the dog in the face. The officers returned fire and killed Moreno, authorities said. On Tuesday night, a soft drink can and a water bottle were filled with pink roses at the driveway where Moreno was shot. Jennifer Garcia, 25, who lives nearby, said a lot of the attention had been focused on Bruno the police dog and very little on Moreno. Let's ask Shawn Nelson and Todd Spitzer to rescind Murray endorsements! Kris Murray thinks a fair deal for Anaheim taxpayers involves Angel’s team owner Arte Moreno paying no rent for Angel Stadium on top of giving him development rights to the parking lot for only $1 a year. Kris Murray voted to giveaway $158 million in future tax revenue to help a millionaire build a privately owned hotel at GardenWalk. Kris Murray supports building a $319 million streetcar to transport Disney guests on the taxpayers dime. $319 million for only 3 ½ miles of track and the demolition of a family-owned motel via imminent domain. Kris Murray fought against District Elections which would give Anaheim taxpayers a greater voice at Anaheim City Hall. Kris Murray violated state law when she voted for the $158 million GardenWalk Hotel giveaway. Kris Murray complained to the OC Register owners regarding political ads targeting her and they changed their ad policy to stop dissent and obtain a lucrative deal to negotiate naming rights for the ARTIC train station. Kris Murray supports the expansion of the Anaheim Convention Center even though it places a burden on the general fund. Kris Murray blocks city residents who speak out against her on her Facebook fan page. Kris Murray was named one of OC Weekly’s Scariest People of 2013. Kris Murray supported the Enterprise Zone Program which was merely a way for Disney and Walmart to extract lucrative tax credits from taxpayers. March 23, 2014 by Save Anaheim. Sources tell Save Anaheim that OC GOP Chair Scott Baugh asked Kris Murray to remove his name from any future campaign literature. Clearly the Republican party isn't happy with Mrs. Murray's crony capitalist ways. Bill Handel who was set to headline Lorri Galloway's kick-off fundraiser was a no-show according to sources who attended the event. March 20, 2014 by Save Anaheim.